Susan Price is the Carnegie Medal winning author of The Ghost Drum, and The Sterkarm Handshake. ‘Rubies’ is romantic, lush, Gothic, and its theme, like the other stories, is that of rebelling against the rules your society insists you live by. And, in these stories, at least, the rebels mostly gain a kind of victory. 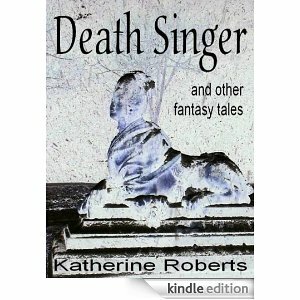 Roberts imagines other worlds and other ways: her characters spirit-travel and meet singers whose voices can heal or kill, savage unicorns and soul-leaders. There is horror, and humour, and beauty. ‘Mars Take Seed Make Man’ is the closest to science-fiction, set in a Martian colony where soldiers are grown to supply Earth with fodder for its wars. But the peaceful women farmers of Mars have found a use other than killing for their 'man-roots'! - and the roots themselves are not quite the vegetables Earth's Generals took them for. The final story, and perhaps my favourite, ‘Empire of the Hare’ is historical-fantasy, featuring the most audacious take on Boudicca I’ve read in a long time: and possibly closer to the truth than the usual druid-hugging, noble freedom-fighter. 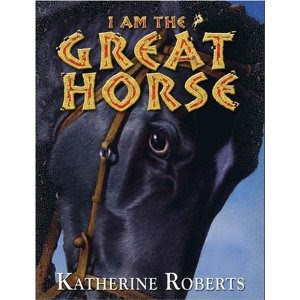 As in her wonderful book, I Am The Great Horse, Roberts demonstrates that although she mingles fantasy with history, she is sharply aware of the machinations of politics, both ancient and modern, giving her stories a cynical edge. These seven stories are available for download from Amazon kindle for £1-71 – seven thoughtful, beautifully written stories for less than half the price of a glossy magazine filled with adverts. And the cover was designed by Roberts herself, using her own photograph. This is hand-crafted, designer fiction at a give-away price! Kindle e-book, Price £1-71 or $2-99. Download it here. I really enjoyed these stories too, Susan, especially the ones you mentioned. I'm not usually a fan of Gothic stories (that's an under-statement!) but 'Rubies' is brilliant.